Audio adventures are my family’s favorite way to pass the time on long car rides. While we listen to many books on tape, this was our first encounter with The Brinkman Adventures. 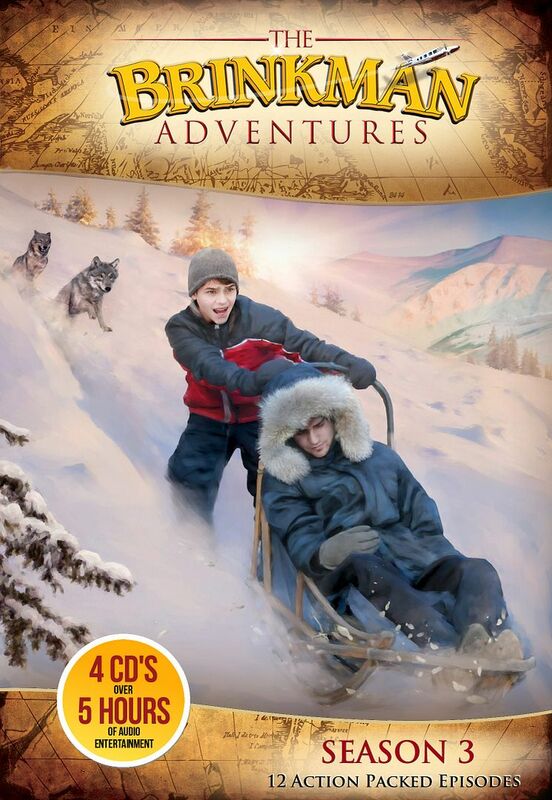 We received the newest season of the Brinkman Adventures for review. We listened to our new cds non-stop while driving to visit family and friends in another state. The Brinkman Adventures: Season 3 arrived more than a week before our trip, and the children pestered me every day to start the adventures. So the morning we left on our trip, they opened the discs before we even left the driveway. With over 5 hours of adventure, we got to enjoy the stories for our entire ride! The Brinkman’s are a large family working closely with missionaries and sharing the stories on a blog. They also go on several mission trips of their own. These adventures are actually the true stories of modern-day Christian heros- though sometimes identifying details are changed. Season 3 includes 4 cds, with 12 episodes of 25 minutes each. The amazing stories include episodes about a missionary’s success at smuggling Bibles into a country in which they are outlawed, a hiking trip over Alaskan glaciers, and more. My children’s favorite adventure was Man-Up, a coming of age story about one of the Brinkman children. The children (and Momma) were breathless as the characters fell through ice, faced wolves and more while hiking in Alaska! Our family gives theses audio adventures 2 thumbs up. In fact, my children are asking for the first 2 seasons for Christmas! We listen to Season 3 at least weekly, the kids never seem to tire of hearing the action-packed episodes again! Big Family Blessings readers can visit this page to download three free episodes and sign up for the free quarterly newsletter! Also connect with The Brinkman Adventures on Facebook.